While the Chaîne des Puys is familiar to all the locals of the region, its geological characteristics are less well known. And yet it is these features which have been used to determine the boundary of the site, and whose value forms the basis for the application onto UNESCO’s World Heritage List. Did you know that there were once high mountains here, reaching up to 5,000 m, before the volcanoes existed ? Were you aware that an ocean might have developed in the location of the present day Limagne plain ? Can you define inverted relief and explain its formation ? What makes the Chaîne des Puys different from other volcanic fields around the world ? 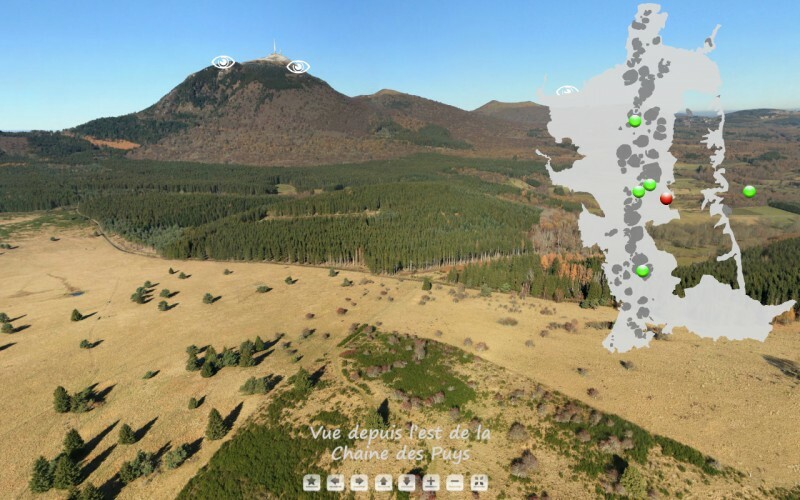 Man has shaped the Chaîne des Puys over the last 6,000 years – do you know how ? In your opinion, is it possible to see the interior of the puy de Dôme ?